This page is a translated version of the page Help:Links and the translation is 0% complete. Please note that this list does not include category links and file links, which are used to place pages into categories and display images or other media files, respectively. To create a so-called internal link to a page on the same wiki (a "wikilink"), use double square brackets wiki markup, [[like this]]. When you preview or save your changes, you will see a link that can be followed to the target page. If the page exists the link is displayed in blue (like the word "create" in the first sentence of this paragraph); if the page does not exist, the link appears red (so the [[like this]] link is actually rendered like this). Note that the colors could be different if the color scheme of the wiki has been changed from the default. Following such a "redlink" to a missing page (whether or not it is actually red) will usually enable the user to create the page. To markup any arbitrary string of text (not necessarily a page title) as a link, use a "vertical bar" or "pipe" character, like this: [[Help:Categories|category links]] results in the link category links. The first letter of the link target is usually not case-sensitive (unless the wiki is configured otherwise), meaning links can be capitalized or not (so How to contribute and how to contribute are equivalent). However, the case of every subsequent letter must match the target page exactly (so How to contribute and How To Contribute are not equivalent). Spaces in the page title may be represented as underscores (so How to contribute and How_to_contribute are again equivalent), but using underscores in links will make them visible in the page text (but this can be prevented by using a "pipe"). If the page title you are linking to is that of the page you are editing, the result is not a hyperlink at all but simply bold text (for example, on this page the markup [[Help:Links/ro]] gives the result Help:Links/ro). If you're trying to create a wikilink to the current page, you probably want to link to a specific section or to an anchor within the page; see the examples below. MediaWiki uses the pagelinks database table to keep track of internal wikilinks. See also meta:Help:Piped link. The second example links to a section (or anchor) within the target page. The pipe trick involves less typing for editors, but is potentially confusing to readers, as seen in these DynamicPageList examples. Follows so-called "linktrail rules" localised per each language. Should be the first and only line on the page. See Help:Redirects. Anchors are provided automatically on section headings and to the top of the page. Rendered block-level and inline, respectively. Doing this would allow for [[#Unique anchor name 1]] on the same page or [[Help:Links/ro#Unique anchor name 1]] on a different page. Omit the "optional text" for an invisible anchor. Shortcut for [[Help:Links/example|/example]]. See also Help:Subpages. Without the leading colon the link would not be visible and the page would instead be placed into the category; this is a very common mistake. See also Help:Categories. Without the leading colon on the "File:" examples, the images would actually be displayed. See also Help:Images . The Media: prefix is used to link directly to the uploaded file, rather than the file-information page. Internal link to a "diff"
The default (in the first example above) is to show the changes from the previous revision. See also the comments in the previous item. To create an external link, usually to a page at a different website, enclose the URL followed by space and the link text in single square brackets (see examples below). When you save or preview the page, you will see a link rendered slightly differently than an internal wikilink. It may be a different color and/or be followed by an arrow icon to show that it may lead to another site. This is what happens if you omit the link text. Multiple links of this type on the same page are numbered sequentially. URLs beginning with "http://" and "https://" are automatically linked, even when no brackets are used. The link will be HTTP or HTTPS depending on the protocol of the page currently being viewed (which could be different for different users). This is only supported inside of square brackets [ ]. Using "//en.wikipedia.org" by itself does not result in a link. To add a link to a page on the same wiki using URL query parameters, you may need to use external link syntax. See also Help:Magic_words#URL_data and External links above. The plainlinks class can be used in cases where you want an external link to look like an internal one, by suppressing the icon that normally appears after it. Interwiki links are internal-style links to other websites (which do not have to be wikis, despite the name). For example, you can link to the article http://en.wikipedia.org/wiki/Sunflower by typing [[wikipedia:Sunflower]] or, on this wiki, the shorter [[w:Sunflower]]. Both will result in a link wikipedia:Sunflower. This works because by default MediaWiki configures wikipedia: as an "interwiki prefix" that turns into http://en.wikipedia.org/wiki/ when used inside [[ ]]. (It may not work if the admin of your wiki has changed the setting.) Unlike internal links, interwiki links do not use page existence detection, so an interwiki link will appear blue even if the page does not exist on the remote wiki. Similar to internal page links, you can create piped links, with alternate link label, e.g. [[wikipedia:Sunflower|big yellow flower]] is the link big yellow flower and [[wikipedia:Sunflower|]] is the link Sunflower. Basically, interwiki links are abbreviations for commonly-used longer external links. 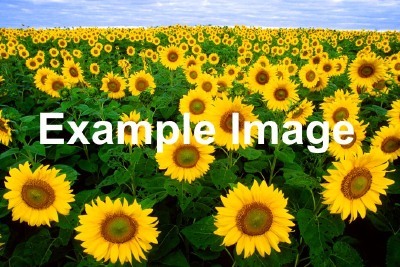 A very similar link could be created as [http://en.wikipedia.org/wiki/Sunflower big yellow flower]. More details are at Manual:Interwiki and m:Help:Interwiki linking. Your wiki may have a Special:Interwiki page listing the interwiki prefixes it supports; here is the default interwiki list. You can edit the interwiki table on your site. In wiki markup an interlanguage link looks very much like an interwiki link, but behaves similarly to a category link in that it is rendered in a special way. While category links appear in a special list at the bottom of the page (usually), interlanguage links appear in a special list in the sidebar of the page (or elsewhere, depending on the wiki's configuration and the skin used). The purpose of interlanguage links is to link pages on the same topics in different languages. To create an interlanguage link, type [[language prefix:page name]] anywhere in the page (preferably at the bottom, like category links); the language prefix is the prefix specified at your wiki for the other language version (typically the ISO 639-1 language code). The interlanguage link is unilateral, it does not point back from that page in the other language. For that purpose, an equivalent back-link needs to be placed there as well. It does not work like the "Edit links" in the languages section of Wikipedia-language versions. But it can be used across all name spaces, including 'User:' to point to ones other profiles in other languages. When a link is both interwiki and interlanguage, the order is wikipedia:en:Sunflower. For more information, see m:Help:Interwiki linking#Interlanguage links. An internal wiki link is limited by maximum page title size. This page was last edited on 14 April 2019, at 06:07.